Born in 1991, Ali Asgar is a Bangladeshi artist whose work focuses on the body and the relationship between body and space. The controversial and politically charged nature of Ali Asgar’s early work—exploring gender and eroticism— exposed them to significant risk in their home city of Dhaka, where they staged provocative street performances and gallery exhibitions intentionally designed to challenge the conservative sexual mores of the culture. Consequently, Asgar was awarded an Artist Protection Fund Fellowship in 2016. They are currently working on an MFA in Intermedia at the University of Maine. 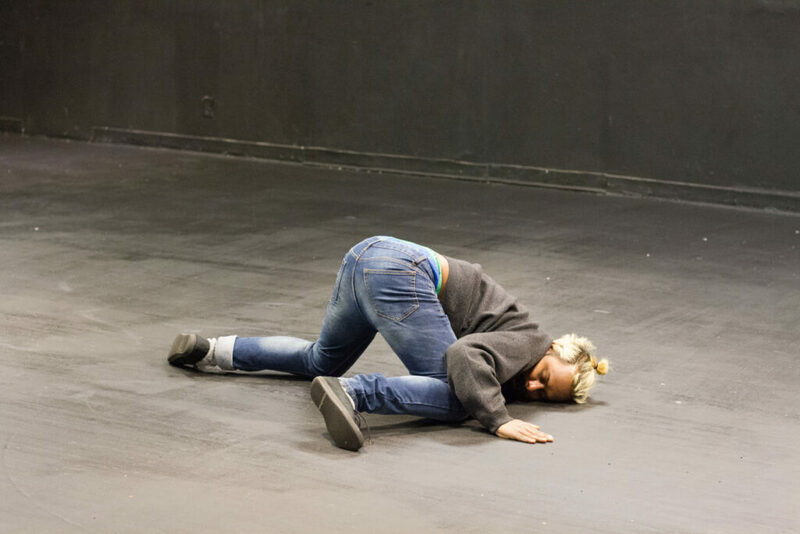 Their current interactive performance project, No One Home, emphasizes trauma, dislocation, isolation, body politics and queer identity while exploring the meaning of home and belongingness. Asgar has a BFA in Printmaking from the Faculty of Fine Arts at the University of Dhaka and has participated in major group exhibitions including the 2014 and 2016 Dhaka Art Summits, the 2016 Kolkata International Performance Festival, the 2014 Dhaka Social Art Festival and the Asian Art Biennial. They have also performed in various U.S. venues in Boston, Chicago, New York and Maine. Asgar was featured on the Akimbo Hit List for December 13.